He had a special child-sized uniform tailored for him, and was promoted to the rank of corporal after he participated in the Battle of Cer. 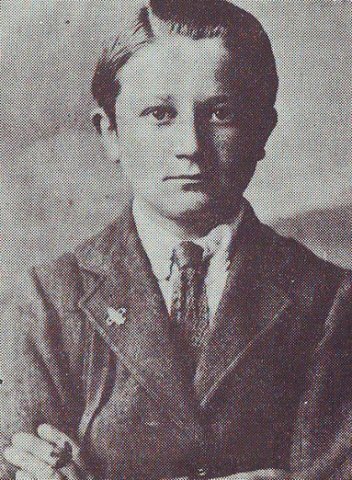 While it is a well-known fact that many underage teenagers served in the various armies that fought in the First World War, it is perhaps less widely-known that the youngest soldier in the conflict was just eight years old when he joined the army. 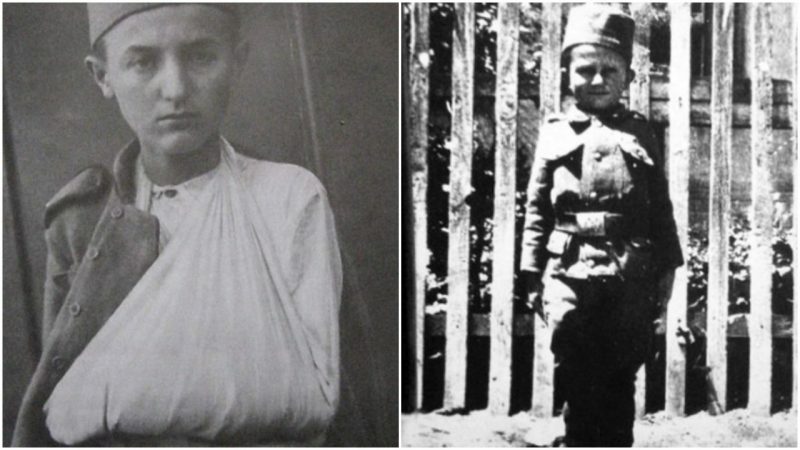 The child in question was a Serbian boy named Momčilo Gavrić, and the unit he joined at the tender age of eight was the 6th Artillery Division of the Serbian Army. Momčilo Gavrić was born on May 1, 1906 in the village of Trbušnica, in the mountainous region of Gučevo in Serbia. He was part of a large family, and had ten siblings. Tragedy, however, befell the family with the outbreak of the First World War. 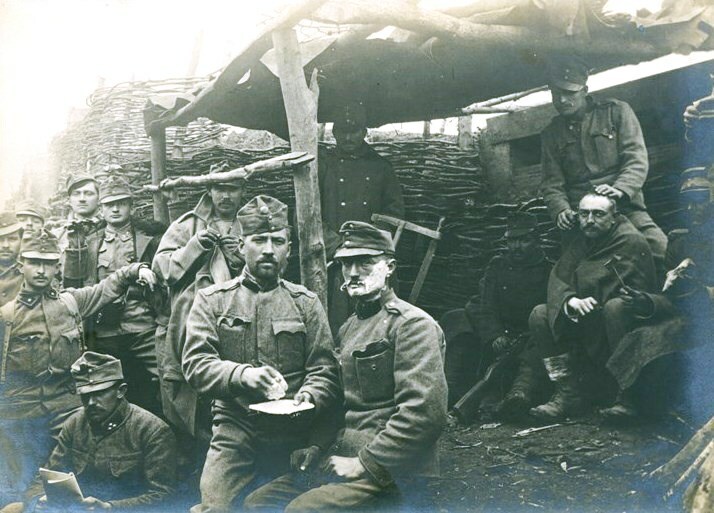 In August 1914, when Momčilo was at his uncle’s house a few miles away from his family’s home, a group of Austro-Hungarian soldiers raided the village. In an act of savage brutality the soldiers slaughtered Momčilo’s family, killing his grandmother, his parents, three of his sisters and four of his brothers. After completing the murders, the soldiers burned the family house down. It was only due to the fact that Momčilo was at his uncle’s house that he survived the massacre. When he returned home later that day he found his family dead and his house burned down – a nightmare for any adult to have to come to terms with, but an absolutely world-shattering tragedy for a child of eight. 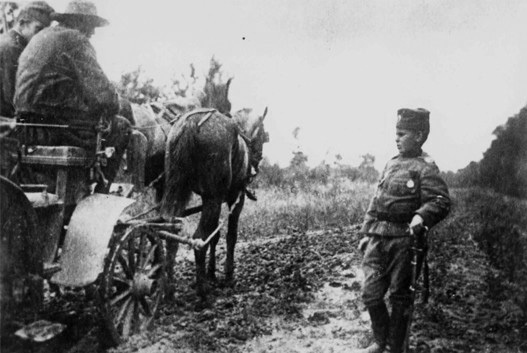 Momčilo wandered around in a daze, eventually coming across the 6th Artillery Division of the Serbian Army, which was camped near his village. He tearfully told the Serbian soldiers what had happened, and Major Stevan Tucovic, the commanding officer of the unit, decided to accept the now-homeless boy as an officially enlisted soldier. 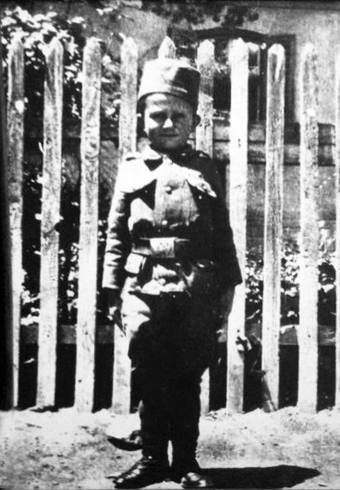 An adult soldier in the unit, Miloš Mišović, was assigned to be the young boy’s official caretaker. Momčilo did not have to wait long to take revenge on the Austro-Hungarian soldiers who had murdered his family. The Serbian unit discovered their whereabouts that night and attacked their position with an artillery bombardment. 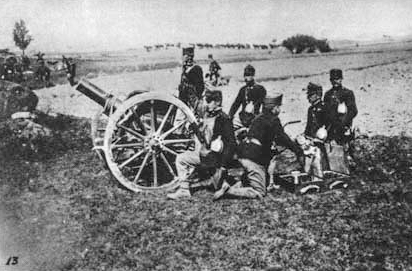 Major Tucovic, in a gesture that he hoped would go a ways towards healing some of the young boy’s emotional wounds, allowed Momčilo to fire one of the artillery guns at the Austro-Hungarians – after it had been dialed in and aimed by the more experienced soldiers of the unit, of course. 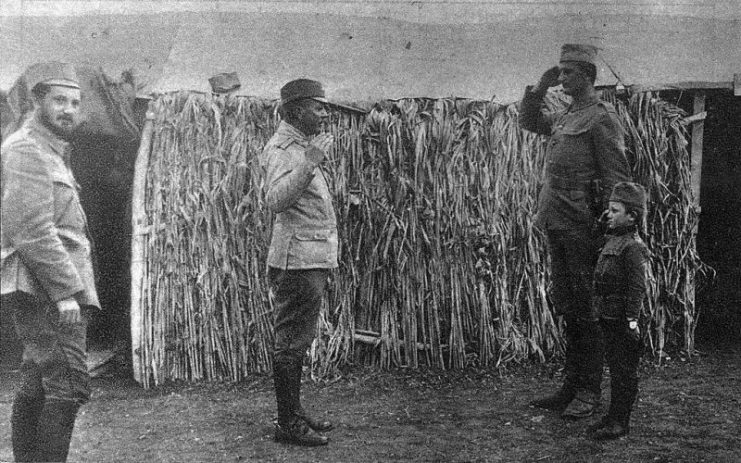 Momčilo Gavrić and another soldier reporting to Major Stevan Tucović, 1916. Momčilo stayed with the unit for the next few years. 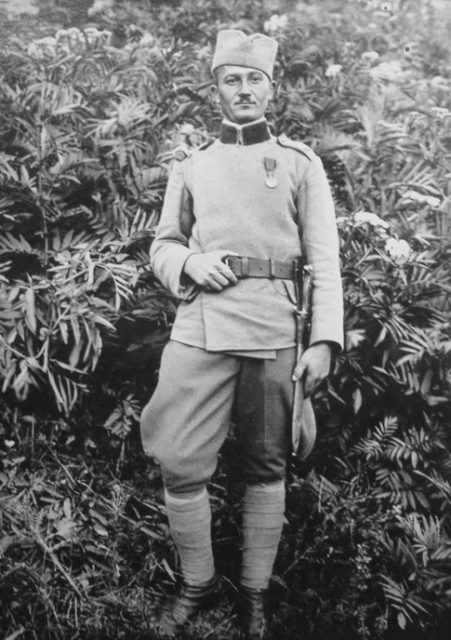 Major Tucovic had a special child-sized uniform tailored for him, and promoted him to the rank of corporal after he participated in the Battle of Cer. While the unit was stationed in Greece for a time, Major Tucovic made sure that Momčilo attended school, and the boy was able to get a few grades of education completed. Wartime photograph from 1914 with Momčilo Gavrić. By the time he had turned ten Momčilo had returned to the front, and was now fighting alongside his fellow Serbian soldiers in the unit in the trenches near Kajmakčalan. He was, at this young age, already a veteran soldier, having survived a wound taken in battle at Kajmakčalan. He fought on the Salonica Front, surviving extremely harsh conditions there, and was promoted to the rank of lance sergeant. He received the Albanian Commemorative Medal for his service in the war. 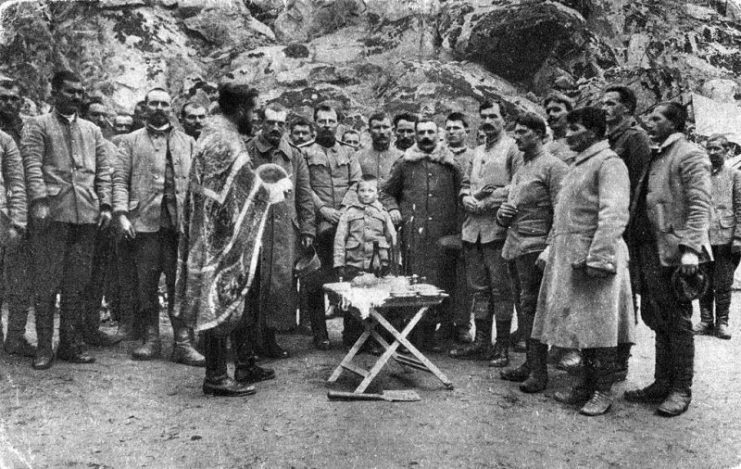 Momčilo Gavrić with other Serbian soldiers. Momčilo survived the war, and after hostilities ceased, Major Tucovic enlisted the aid of a British charity group who were helping war orphans in Serbia. With their assistance Momčilo was able to travel to England, where he completed his schooling at the Henry Wright School in London. He graduated in 1921, and thereafter returned to Serbia. There he was finally reunited with his remaining brothers, the only members of his family who had survived the massacre. 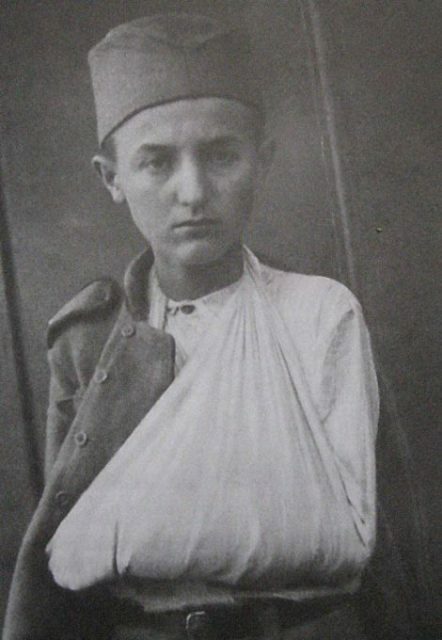 Photograph of Momčilo Gavrić with a wounded arm, 1918. In 1929, when working in Belgrade, he was called up to the army for conscription. He protested, saying that he had already served in the army for five years during the First World War, and had seen active service on the front and taken battle wounds. Because of Momčilo’s age, the soldier he was dealing with insisted that it was impossible that he could have served in WWI, and had the young man thrown in prison for two and a half months. When the truth was discovered, however, he was released. Momcilo Gavric after finishing his education in Faversham, Kent, 1921. After this, he worked as a graphic designer until the outbreak of WWII, at which point he was once again conscripted, this time into the service of the Royal Yugoslav Army. Unlike his time with the 6th Artillery Division of the Serbian Army, he did not stay with the Yugoslav Army for very long. His unit was captured by German soldiers, but Momčilo managed to escape, and made his way back to Belgrade. There he got a job working as an assistant to a Jewish man, who had been given permission to stay in Belgrade because the Germans had need of his expertise. The Germans’ benevolence towards this man did not extend very far, though, and in 1943 they threw both him and Momčilo into their concentration camp at Banjica. After being imprisoned for a number of months at the camp Momčilo was finally freed. However, his troubles were far from over. In 1947 he was arrested by OZNA (Communist Yugoslavia’s secret police) for saying that Albanians were not brothers to the Serbian people. For this utterance, he spent eighteen months in prison. 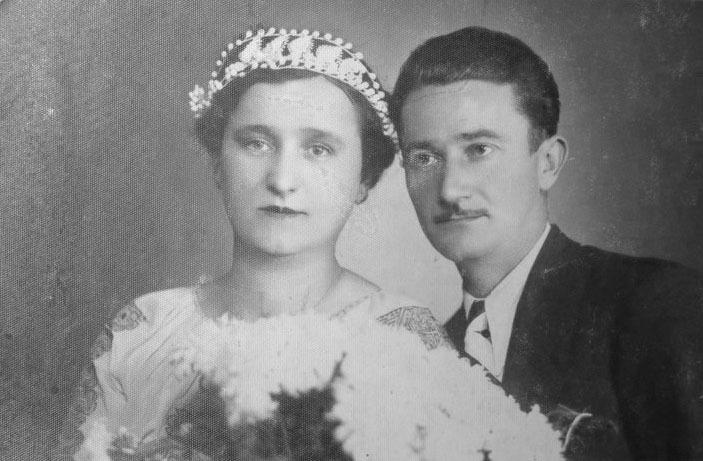 Momcilo Gavric with his wife Kosara, in 1939. Once he was freed from the OZNA prison he was finally able to enjoy a somewhat normal life with his wife. Momčilo Gavrić went on to live to the ripe old age of 86, passing away in 1993 after having fought in both world wars and having seen the rise and fall of the Soviet Union during his lifetime. In 2015 the Serbian government erected a monument in Belgrade to commemorate his life, and to always remember the youngest soldier to have fought in the First World War.